Creating a wedding registry can be both fun and stressful. It’s like putting together the ultimate wishlist to help build your home together. But Adam and I had been living together for 5 years before we got engaged, and we moved into a new house about 6 months before our wedding so we already had a lot of the traditional registry items. We wanted our registry to have purpose, though, without superfluous items that would just sit in a closet. So we put a lot of thought into our registry, which we created on Amazon. An Amazon registry seemed like a no-brainer, since there is such a large variety of items available and most people have an account already. Plus, you get a 20% discount to buy anything left on your registry after your wedding that you still need! There’s also an option to have gifts directly mailed to you instead of the buyer, and you could even delay shipment, which was really helpful for a destination wedding. If you’re looking for some wedding registry and gift inspiration, or justification, this list is for you. After a year of being married, these eight products are the most used from our registry. 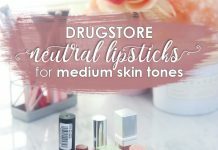 These items are used regularly, if not daily! I’ll admit, I was originally against the Keurig. I personally don’t drink coffee, and I just thought it was going to be a space-hog on our counter. But I stood corrected, because it gets a ton of use while entertaining and I’ve discovered all the different latte and tea options in K-Cups. Plus, I’ve liked using it just to get hot water much faster than heating up a tea kettle. I like this model which is on the slimmer side and accommodates both single K-Cups and Karafe cups. It was time to upgrade from our drawer of loose knives to a proper knife block. This is an awesome set that looks great on the counter, and has every knife you need to prep food plus steak knives for eating. It also comes with a sharpener to keep them in great shape. This was another entertaining must-have that I had my eye on, and I get compliments every single time I break it out. It’s perfect for big salads, and the hand serving utensils are both fun and useful. We also use this bowl for other family-style sides and snacks like pasta salad, chips, or popcorn. I knew glass mixing bowls were a must, because they’re the one registry item my mom still has from her own wedding from nearly 30 years ago. If that isn’t a good testimonial, I don’t know what is. They’re incredibly handy for both food prep and serving. The smaller sizes are great for sauces as well. We did already have dishes from living together, but I won’t front: they were from the dollar store. These were a nice upgrade— not only are these plates and bowls chip-proof but they’re also very lightweight and stack easily without taking up a lot of space. They’re dishwasher and microwave safe, and super low-maintenance but super cute. If you’re living in a house, a video doorbell is a must! I love being able to keep an eye on our doorstep from both upstairs and when I’m out. You get phone notifications any time someone rings your doorbell or even just walks up to your stoop. I love it for keeping an eye on packages as well as shooing away door-to-door salespeople. As a pet owner, this is one of the most useful gifts we received! It’s awesome for pet hair, kibble, and litter. But it’s great for other uses too, like crumbs in the couch, vacuuming car mats, and small spills around the house. It’s cordless and has a charging stand, and is super easy to empty out. The big kahuna: the appliance that everyone tells you to register for, but will you actually use it? I added the infamous Kitchenaid Stand Mixer to our registry because I liked the idea of having one, but wasn’t going to be upset if we didn’t get it. Sure enough, it was one of the first gifts that arrived. I went into overdrive researching recipes I’d use this appliance for— it was time to walk the walk! Turns out, we actually get a lot of use out of this! It’s awesome for baking; I use it weekly to bake a loaf of bread, but it’s also great for cakes and cookies for much faster prep. I’ve also used it for mashed potatoes and ground meat recipes, as well as matzo ball soup. It really does make intense recipes a little easier since you just have to focus on adding the ingredients! So yes, in the end I was really happy that we received it and we use it regularly. 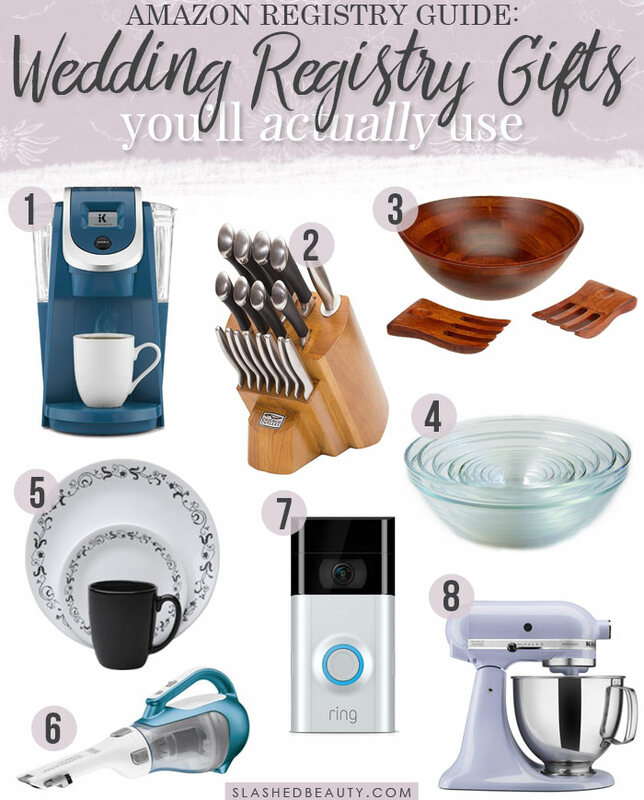 What are the most used wedding registry items you’ve received? Weddings can be a stressful situation and this extends right from picking the venue and flowers to making the guest list and sending out invites. One thing that should never be stressful is receiving gifts. One thing the west has done really well is this idea of the wedding registry. The wedding registry was once considered gauche in India but has now taken off and is how many couples are choosing to plan their gifts.